Scarifiers (aka Planers and Milling Machines) level, clean, and texture surfaces. They repair common slab problems like curled joints, unevenness, sidewalk trip hazards, and weather damage. 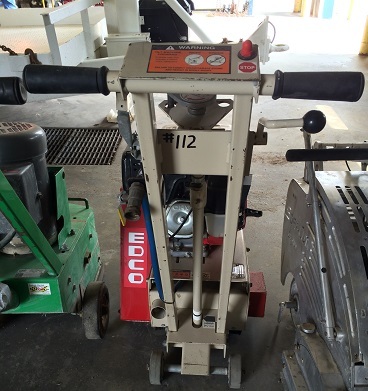 Scarifiers can remove contaminates, epoxy, paint, traffic lines. Scarifiers aggressively remove surface material up to an 1/8 per pass using carbide and steel cutters. This machine can be used to texture, level, clean, and etch surfaces, remove coatings and surfaces -- leaving TEXTURED or rough finish. The price includes carbide drum rental. 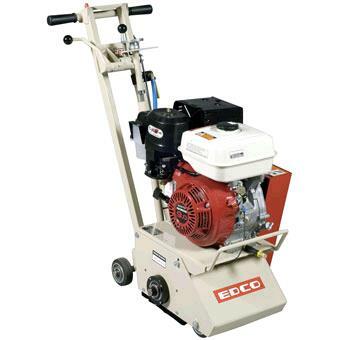 Gasoline Powered -- 9hp motor, use outside or in a well-ventilated area. * 8" working width will scarify approximately 350-500 sq.ft. per hour at depth per pass of 1/8" -- if you want to remove more than 1/8", multiple passes are required -- don't push the drum down harder -- will ruin the carbide teeth. 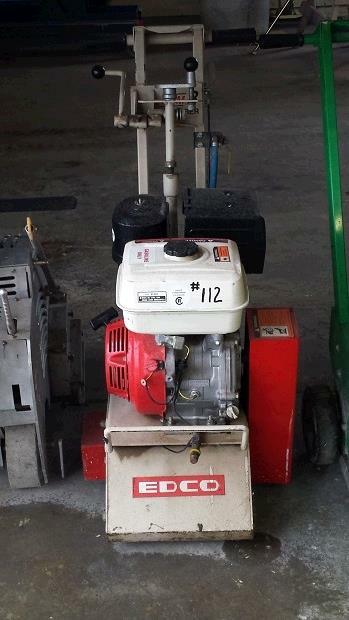 * Please call us for any questions on our scarifier edco cpm 8 9h rentals in Fort Madison IA, serving Southeastern Iowa and Western Illinois.